Have you heard the buzz about coconut oil? 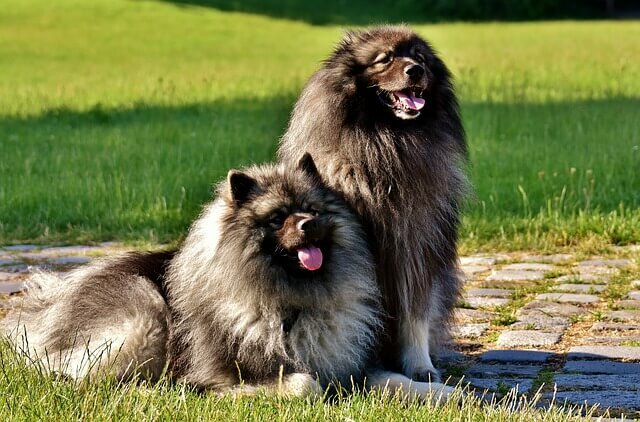 While its popularity has recently exploded for human use, it may also benefit our pooches! Coconut oil is composed primarily of Medium Chain Triglycerides (MCTs), also known as good fats. MCTs are metabolized quickly, so they’re a great source of energy. 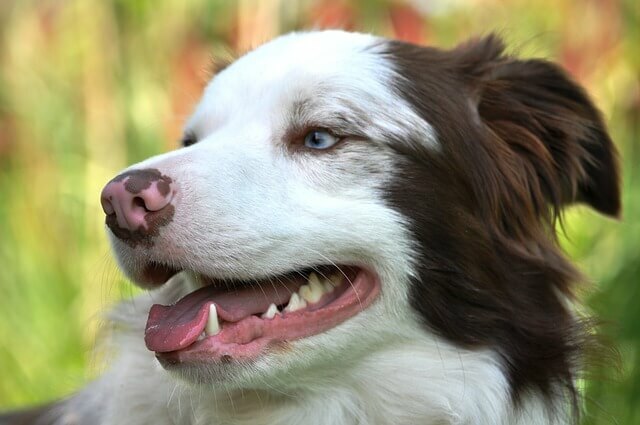 Keeping in mind that you should always talk to your vet before changing your dog’s diet, here are 7 reasons to give coconut oil to your older dog. In one study, 24 older Beagles consumed a diet supplemented with 5.5% MCTs. Within a month, the Beagles showed a significant improvement in cognitive ability when performing certain tasks. Our senior pups often lose cognition skills as they age, so anything that can help slow this unfortunate trend is a must-do. RELATED: Which Coconut Oil Brand Does iHeartDogs Recommend? 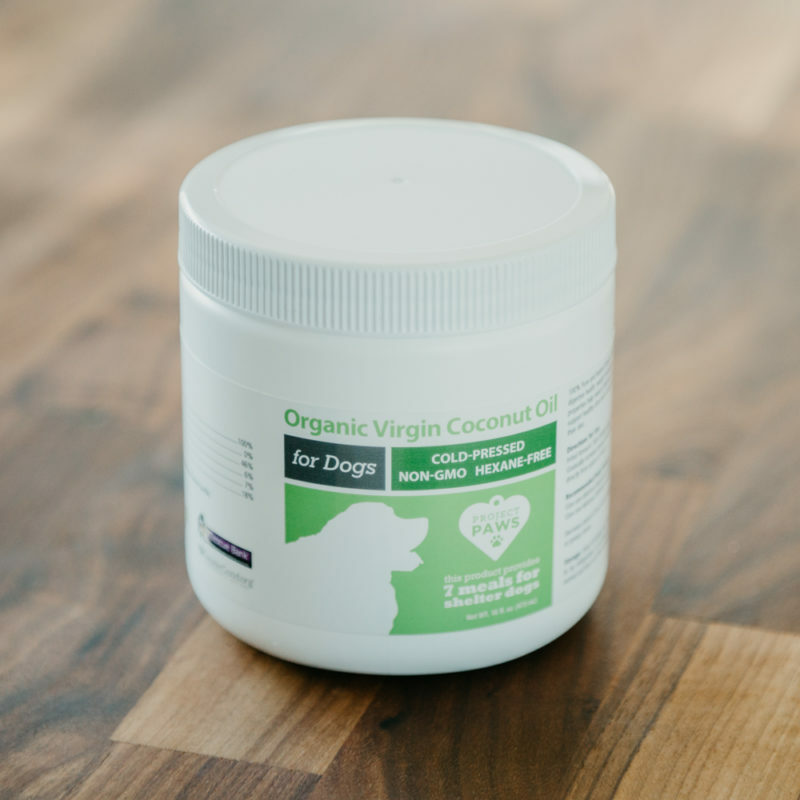 Coconut oil can help improve digestion by supporting proper nutrient absorption in your pup’s intestinal tract. It is important not to give your dog too much coconut oil, however, as it can cause loose stools. See the recommendations at the bottom of this article. By the time our pups are seniors, their teeth have seen better days. Due to its antimicrobial properties, coconut oil has the ability to freshen breath and fight plaque that forms 0n your dog’s gum line. Some people even brush their dog’s teeth with coconut oil. It’s a tasty treat for your dog and can help freshen their breath while caring for their teeth. In addition to glucosamine and turmeric, coconut oil is arguably most popularly used for senior’s dog’s mobility challenges. The MCTs found in coconut oil include caprylic, lauric, decanoic, palmitic, myristic and oleic acids. Some of these compounds have appear to help reverse the joint and ligament damage that causes arthritis. Many senior pup’s suffer from a dull coat. The chemical compounds found in coconut oil can help restore the luster in your dog’s fur. If you plan to add coconut oil to your dog’s diet, you should start slowly (1/4 teaspoon per day for small dogs and puppies, 1 teaspoon for large dogs) and gradually increase his intake to a maximum of 1 teaspoon per 10 lbs of body weight daily. You also want to make sure you’re accounting for the added calories when considering the rest of your dog’s diet.